Kyle Field Campaign contributions were due prior to January 10, 2019, and must be current to renew season football tickets. If you have questions please call 888-992-4443. Football season ticket renewals begin. No paper forms will be mailed, but will be available to print online and mail back to the 12th Man Foundation. Deadline to submit football season ticket renewals. Renewals must be paid in full or on a payment plan by this date. Priority point deadline for the 2019 Football Seat and/or Parking Selection process is March 1, 2019. Your priority point ranking will be available mid-March. To view, log into your account on www.12thmanfoundation.com. Final date to opt into the 2019 Football Seat and/or Parking Selection process. 2019 Football Seat and/or Parking Selection process appointment times and instructions for accessing the system will be sent by email and posted in your Account Manager. 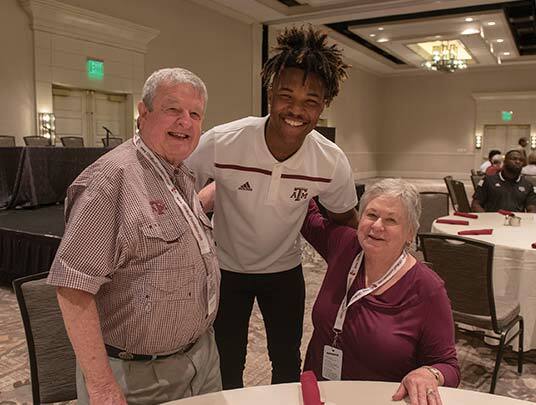 If you do not receive any correspondence, please visit your Account Manager to view your appointment time or contact the 12th Man Foundation at 888-992-4443. 2019 Football Seat and/or Parking Selection process begins. 12th Man Foundation offices closed for Good Friday. Football tickets, parking and annual seat contributions should be paid in full by this date. How do I access the online renewal system? Online renewals can be found in your online Account Manager. Select “Login” in the upper right corner, and enter your email address or account number and password. After logging in, select “Season Renewals” under the maroon “My Tickets” section. NOTE: If this is your first time to log in, you will be required to link your existing account with an online PIN. Please contact the 12th Man Foundation at 888-992-4443 for assistance. What if I forgot my login credentials? Click “Forgot Password?” on the login page, enter the email address associated with your account and a temporary password will be emailed to you. If you do not know the email address on your account, please contact the 12th Man Foundation at 888-992-4443. It is asking for my online PIN, but I do not have it. What do I do? Please contact the 12th Man Foundation at 888-992-4443 for assistance. Can I complete my renewal by mail? Yes, you may request a printable renewal form by contacting the 12th Man Foundation office by phone at 888-992-4443 or by email. Can I come to the 12th Man Foundation offices for assistance completing my renewal? Yes, our offices are open Monday - Friday, 8 a.m. - 5 p.m.
Will there be an increase for 2019 ticket and seat contribution pricing for renewed and new seats? There will be no increase in ticket prices or annual seat contributions for the 2019 football season. Note: Price includes $15 per ticket fee. When do I let you know that I would like to relocate some or all of my seats for the 2019 season? You may opt into the seat relocation process on your renewal application by clicking “Yes” on “Enroll in 2019 Football Seat and/or Parking Selection”. When will I have the opportunity to relocate my seats? What if the seating area I would like to move to has a shorter seating option term than my original tickets? If a donor relocates to a seating area with a shorter seating option term, the term for the relocated seats will be the shorter term. Example: For the 2018 season, a donor selected seats in a 15-year term area. For the 2019 season, the donor chooses to relocate to a section that had an initial term of 10 years. The donor’s term will expire after the 2024 season, which is the contractual term for the relocated seats. Click here for a map of final term years by seating area. How can I drop seats or parking for the 2019 season? Please call the 12th Man Foundation at 888-992-4443 to drop seats and/or parking during the renewal process. You forfeit all rights to these seats for the 2019 season and all future football seasons. Release of seats may also affect the quantity of parking passes for which you are eligible. For more information on parking pass eligibility please refer to the Parking section of this FAQ. You will not receive a refund for any previously paid contributions for the released seats. 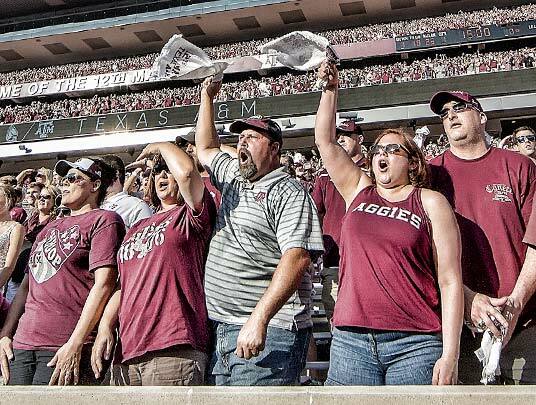 Contribution amounts previously paid for the seats may not be transferred to outstanding pledges due on other contributions, including outstanding pledges for Kyle Field. The 12th Man Foundation reserves the right to adjust your seat block to preserve the integrity of available seat inventory. Can I purchase additional season tickets now? Yes. Season tickets for the 2019 football season are currently available online and by calling 888-992-4443. These available tickets were not sold as season tickets prior to the 2018 football season. Can I increase the number of season tickets I want during the renewal process? On your renewal application, in the “Purchase Additional Season Tickets” section, enter the quantity of tickets you wish to purchase. The payment amount is equivalent to the season ticket cost for bench seating, or $540, plus a $25 per seat non-refundable donation. If you purchase additional tickets as part of the renewal application prior to the March 1 priority point deadline, those tickets will be included in the point calculation. Click here for priority point information. You will have the opportunity to add up to 6 additional seats without prior payment. You will be required to pay for any additional tickets upon completion of the Football Seat and/or Parking Selection process. Donors are limited to no more than 8 Prime West Legacy Club and/or West Legacy Club seats and no more than 12 seats in any other seating area. You may request up to 20 additional seats on the renewal application. A request does not guarantee additional seats will be available in desired area(s). New seats will be selected by the season ticket holder based on priority rank and inventory availability. When selected, you will be required to pay additional season ticket cost and annual seat contributions for all new seats. Click here to see a seating map with annual seat contribution amounts. IMPORTANT: If you purchase “location pending” seats prior to the Football Seat and/or Parking Selection process and do not participate in the seat selection process, seats will be automatically selected for you based on paid per seat contribution, priority rank and seat availability. The online selection process will begin in early April and appointments will be assigned in order of priority rank as of March 1, 2019. Can I purchase individual home game tickets? Yes, in the renewal application you will be able to purchase individual home game tickets. Tickets will be assigned based on priority point ranking. Inventory is expected to be in the North, South and West upper bench areas. Orders submitted during the renewal process will be filled before any subsequent individual game donor presale or public sale. Note: Individual home game tickets will be delivered by the same method of delivery (printed or digital) that you select for your season tickets. To change the method of delivery for individual home game tickets, please contact tickets@12thmanfoundation.com or call 888-992-4443. I am not a current season ticket holder, but I would like to purchase season tickets for the 2019 season. How do I do this? If you are interested in becoming a season ticket holder please click here or call 888-992-4443. I need ADA accessible seating. How do I request ADA seating for the 2019 season? For ADA accessible seating, please contact tickets@12thmanfoundation.com or call 888-992-4443 for assistance. NOTE: Anyone requesting accessible seating must meet the Americans with Disabilities Act eligibility and attestation standards. You will be required to certify that you meet these standards. People with mobility disabilities who require accessible seating because of their disability are permitted to purchase tickets for accessible seats. This group includes people who use wheelchairs, those who use other mobility devices and people who cannot climb steps or walk long distances because of significant arthritis or severe respiratory, circulatory or cardiac conditions. Individuals who, because of their disability, cannot sit in a straight-back chair or those whose service dogs cannot fit under a non-accessible seat or lie safely in the aisle are also permitted to purchase accessible seats. Tickets for accessible seats may be sold to individuals who require accessible seating themselves or to someone purchasing on their behalf. Under Federal Law, people with disabilities who do not require the specific features of accessible seating but merely have a preference for them are not entitled to purchase accessible seats. For series of events tickets, purchasers may be asked to attest in writing that they require, or are purchasing tickets for someone who requires, the features of an accessible seat. Venues may also mark tickets to clearly identify that they are for accessible seats. Some venues include on tickets for accessible seats a message stating that, if the user of the ticket does not need the specific features of the accessible seat, the venue may require the ticket holder to move to a different, non-accessible seating location. Will road game tickets be available as part of the renewal process? Yes, you will have the opportunity to request road game tickets in the renewal process. Road game prices are estimates. If final cost is different, a refund or additional charge will be processed for confirmed orders. Road game tickets will be allocated based on availability and priority point ranking as of March 1, 2019. You may request up to 8 tickets for Clemson and/or Georgia and up to 12 for Ole Miss and/or LSU. Requests for Clemson and Georgia are expected to greatly exceed availability. Because of this, no payment is being processed for these games until requests are confirmed. Once confirmed, the method of payment used for season tickets will be charged for Clemson and/or Georgia tickets requested. Payments will be processed for Ole Miss and LSU ticket requests when renewals are submitted. If requests exceed availability for either game, refunds will be issued (or payment plans adjusted) for requests that cannot be filled. When will I know the status of my road game requests? You will be notified by email regarding the status of your road game requests during the week of March 10. If we are able to fill part or all of your requests, we will use the same payment method as on your renewal to charge your confirmed road game order. Charges will take place when you receive notification of your requests. Please note, road game tickets are non-refundable once your request is confirmed. Please remember that visiting team allotments are generally in the least desirable area of the stadium. Road game tickets are mailed at least two weeks prior to game day. I have a special seating request for my road game tickets. How do I share those with the 12th Man Foundation? Road game seating requests will be solicited by email following the renewal deadline. You may also email tickets@12thmanfoundation.com at any time to submit a special seating request. What information can you provide about the process to select or relocate seats? How are priority points allocated for payment of donations related to seats held by another person? 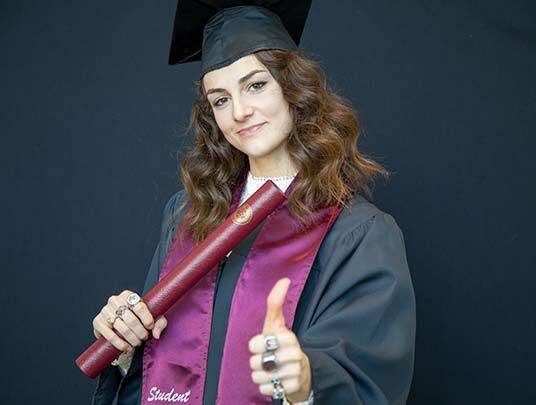 The ticket holder of record receives the priority points for all donations related to the seats, regardless of who pays the donation. I want to pay my annual seat contributions in advance. How are priority points awarded for annual seat contributions paid in advance? Are there any limits on number of seats in each area that can be purchased? Each donor account is limited to no more than 8 prime west legacy club and/or west legacy club seats, and no more than 12 seats in any other individual area. 2019 is the final year of the 3-year parking term that began for season ticket holders in 2017. If a University construction project impacts a 12th Man Foundation donor parking lot, then parking reassignment may occur before the 3-year term expires. Will current season ticket holders be able to change their parking for the 2019 season? Current season ticket holders will have an opportunity to view available, non-renewed 2019 parking via the online Seat and/or Parking Selection process in April. To participate in the process, click “Yes” on “Enroll in 2019 Football Seat and/or Parking Selection” on your renewal application. The selection process appointment times are based on priority point rank and availability. A change in parking is not guaranteed. How many passes may I request? The number of parking passes you may request is determined by the number of season tickets you renew. How much will parking cost for the 2019 season? Regular parking permits will be $180 for the full season. RV parking permits will be $1,500 for the full season. Will new season ticket holders be able to request parking for the 2019 season? New season ticket holders who purchase season tickets before the March 1, 2019 renewal deadline will receive an email with a link to purchase parking, request road games and make additional contributions. Season parking permits will be available for purchase as long as inventory exists. Location is based on priority point rank, order date and/or availability. How do I request ADA parking? You may request ADA parking by emailing tickets@12thmanfoundation.com. If you request ADA parking, you are required to provide your state issued ADA parking permit number, expiration date and permit holder name. The permit holder must be in the vehicle and provide a photo ID to gain admittance to ADA parking areas. What are the payment deadlines for my 2019 season tickets? All season ticket holders must be paid in full or enrolled in the payment plan by March 1, 2019. How do I enroll in the payment plan? You may establish a payment plan by selecting the payment plan option on the renewal application and providing your payment method upon the completion of your renewal. Payment schedules are noted below and cannot be modified. Please note that ticketing payments and required seat donation payments are processed on different schedules. Please note: Only payments received by March 1, 2019 will be included in the priority point ranking for the 2019 Football Seat and/or Parking Selection process. What payment methods may I use? You may pay online by credit card (American Express, Discover, MasterCard, Visa) and draft from personal checking or savings account. Pay by bank draft instead of credit card, which significantly reduces fees. Pay by credit card and wish to contribute an extra two percent donation to cover the credit card fees. Pay by credit card and choose not to contribute an extra two percent to cover the credit card fees. Can I use multiple forms of payment? Yes. If you would like to use multiple forms of payment for your renewal please contact the 12th Man Foundation at 888-992-4443. Will I be able to donate to the Aggie Band, Parsons Mounted Cavalry and the Yell Leaders when I renew my football tickets? Yes, you will be able to donate to these organizations on your renewal application. I have more questions about the renewal. Who can I contact? You may call the 12th Man Foundation at 888-992-4443 or email customersupport@12thmanfoundation.com. I have a Kyle Field Campaign balance. Do I need to pay this balance to renew? 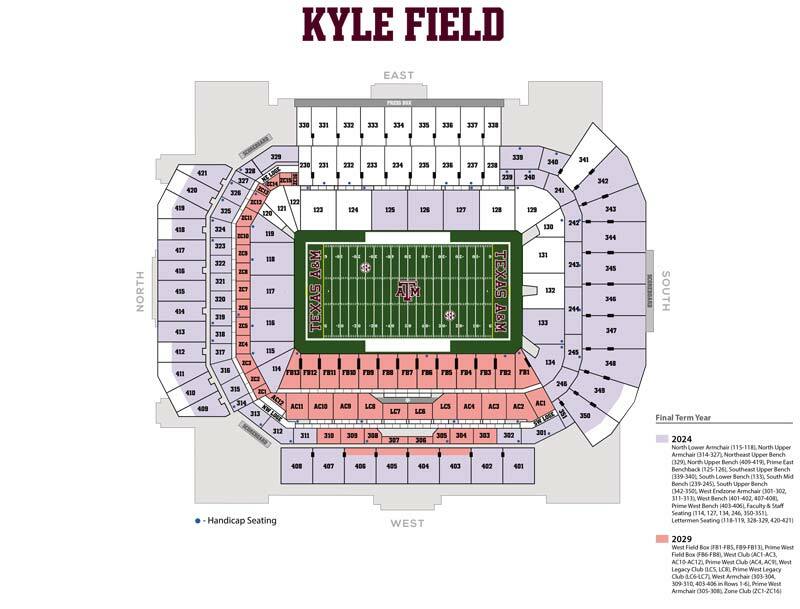 All Kyle Field Campaign (KFC) outstanding balances will remain on seats purchased before 2018. The gift will remain payable over 5 years from the time of purchase. The outstanding KFC balance at the time of 2019 season ticket renewals will remain until the balance is completed. KFC balances will remain the same, regardless of relocation to upgraded or downgraded seats. What are the seating option terms for seats purchased in 2019? The seating option term will expire consistent with all other previously sold seats in that seating area. For your reference the expiration years are at the conclusion of the 2024 and 2029 seasons based on seating area. Example: All seats purchased in 2015 in the Prime West Legacy Club have a term expiring after the 2029 season. All new seats purchased in 2019 in the Prime West Legacy Club will also have a term expiring after the 2029 season. Future Expiration Schedule: The expiration dates will remain the same (2024 for 10 year, 2029 for 15 year). The seating term will decrease by one year with each passing year. 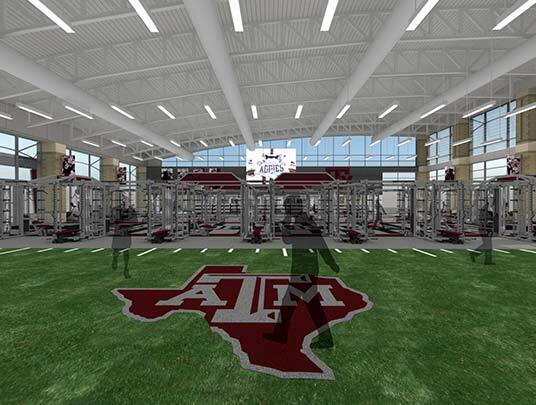 What happens if I have an outstanding Kyle Field Campaign contribution and I decide to drop seats? Amounts paid on the dropped seats will not be reapplied to the balance due on the remaining seats. Example: A donor has 6 seats in Prime West Legacy Club. Donor has paid 80% of the Kyle Field Campaign Gift. Donor decides to drop 2 seats for the 2019 season. Money paid on the dropped seats will not be applied to the balance due on the 4 remaining seats. Example: A donor has 6 seats in Prime West Legacy Club. 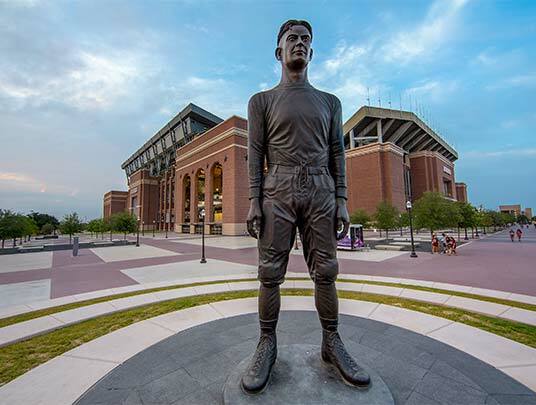 Donor has paid 100% of his Kyle Field Campaign Gift. Donor decides to drop 2 seats for the 2019 season. There will be no refund of any money paid.